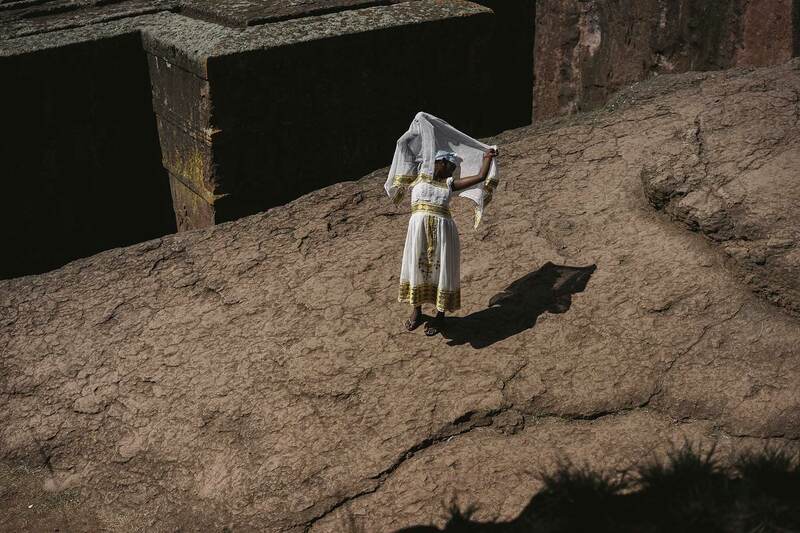 A visit to Lalibela for Christmas is on the wishlist of most Ethiopians. 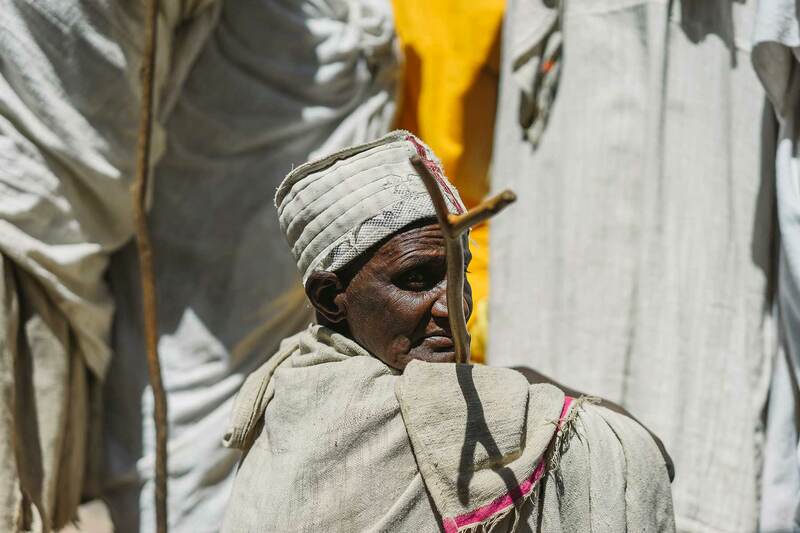 It is a deed of religious devotion, but also a deed of national identity. 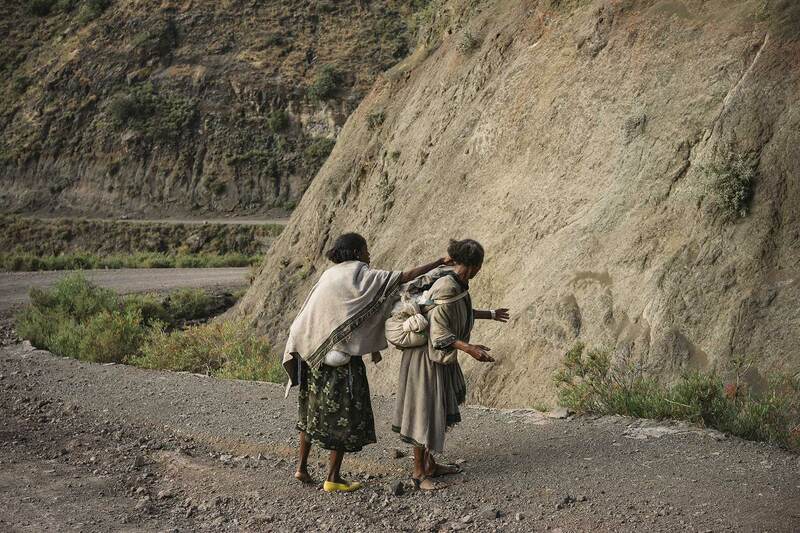 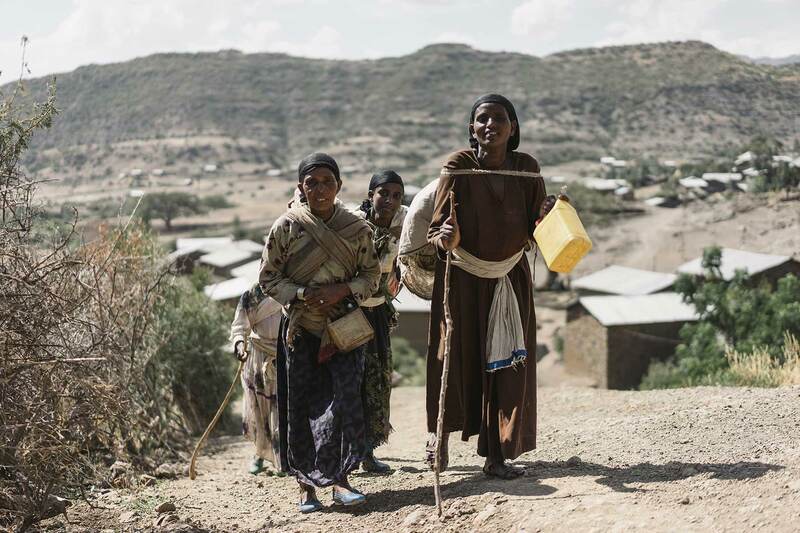 Most of the pilgrims take busses to get there, but thousands are doing it the hard way, walking for hundreds of miles in plastic shoes, only carrying a small bag with dried bread and seeds and a plastic canister for water. 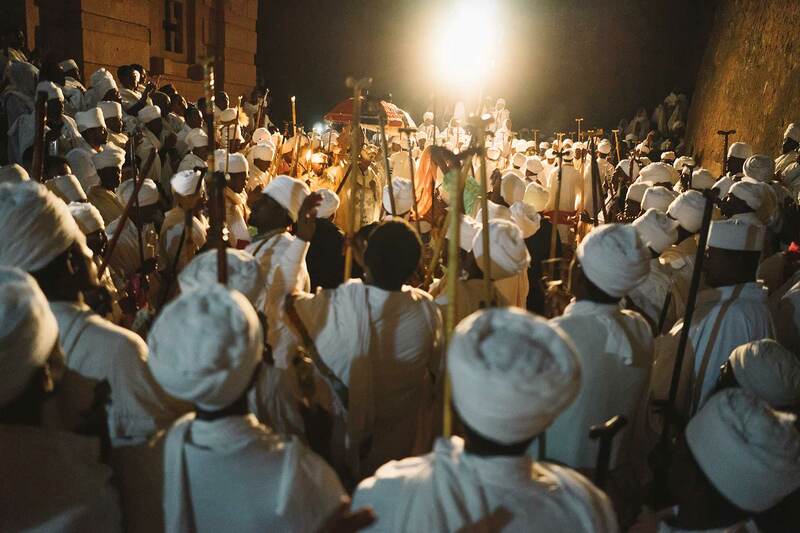 This ritual has been performed for hundreds of years and judging from watching the walk, hasn’t changed much since ancient times. 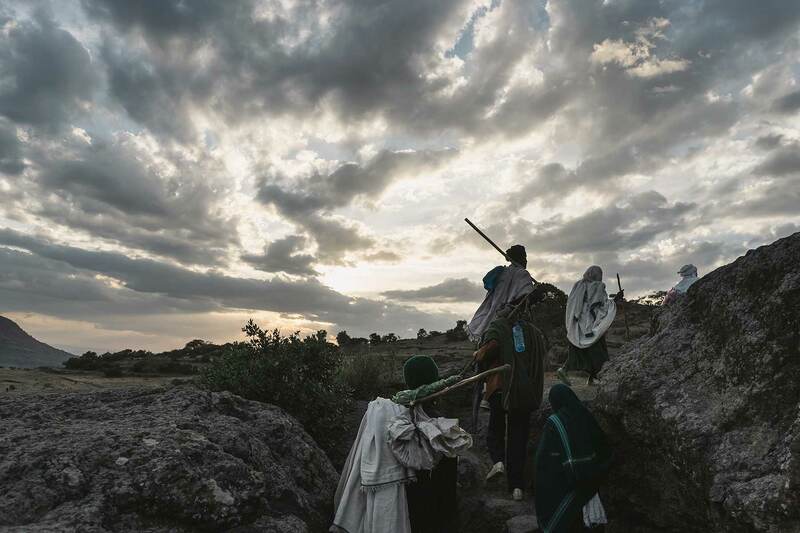 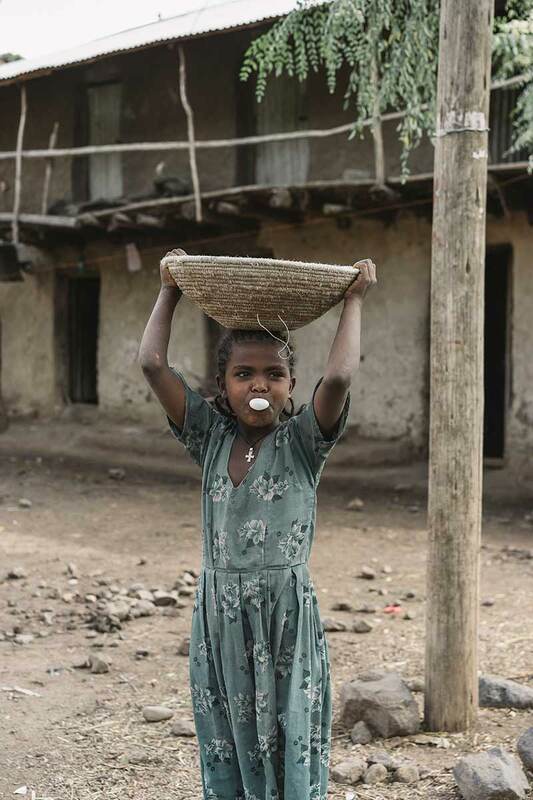 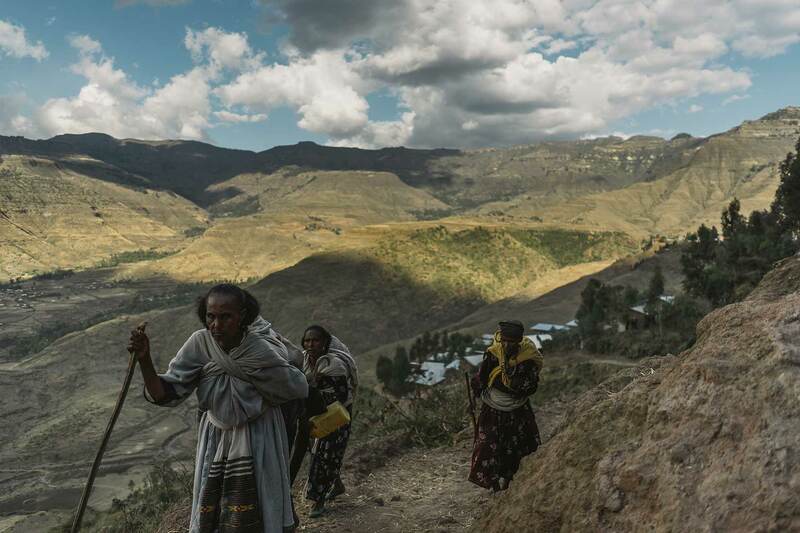 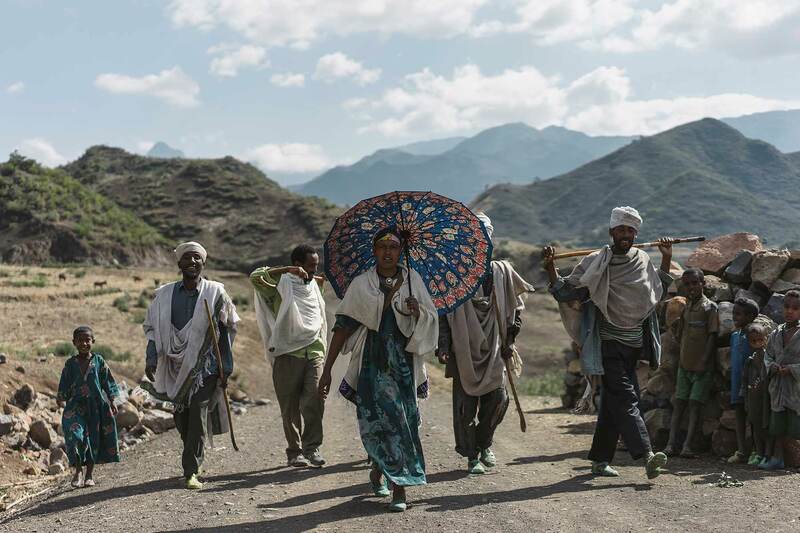 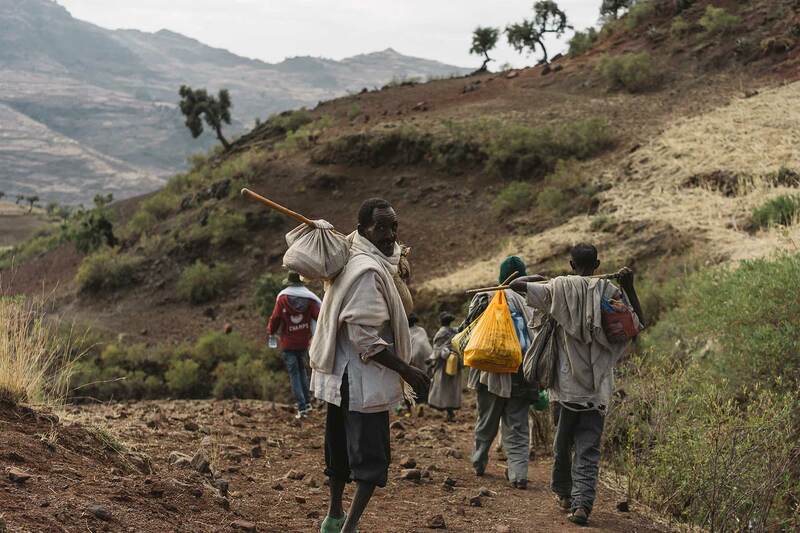 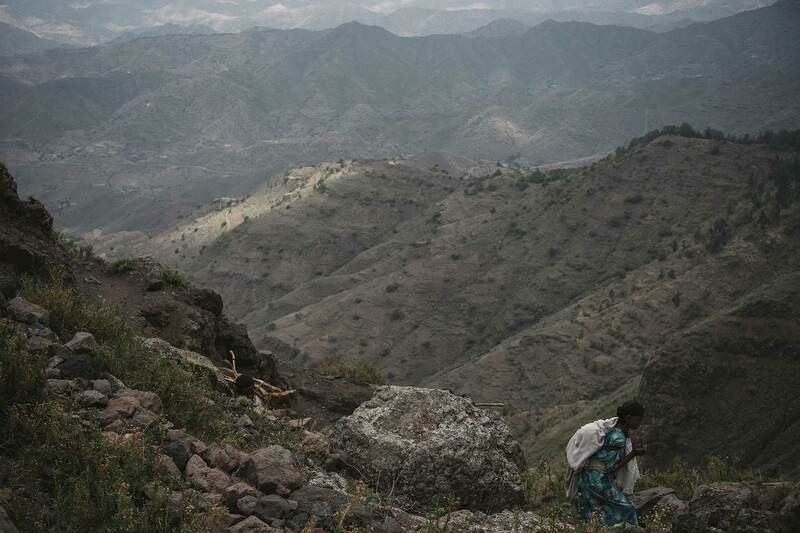 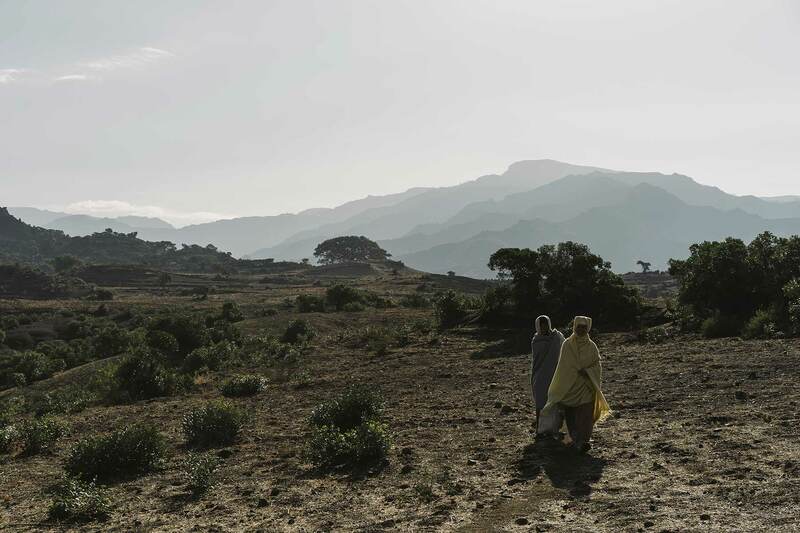 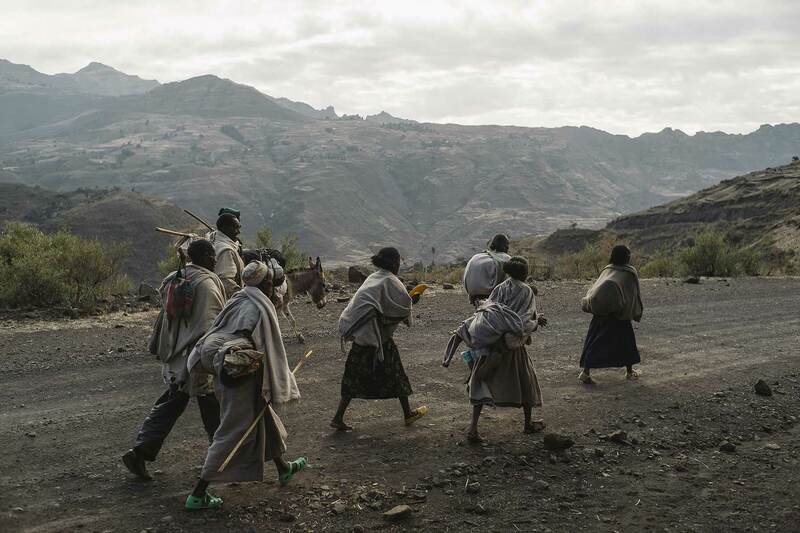 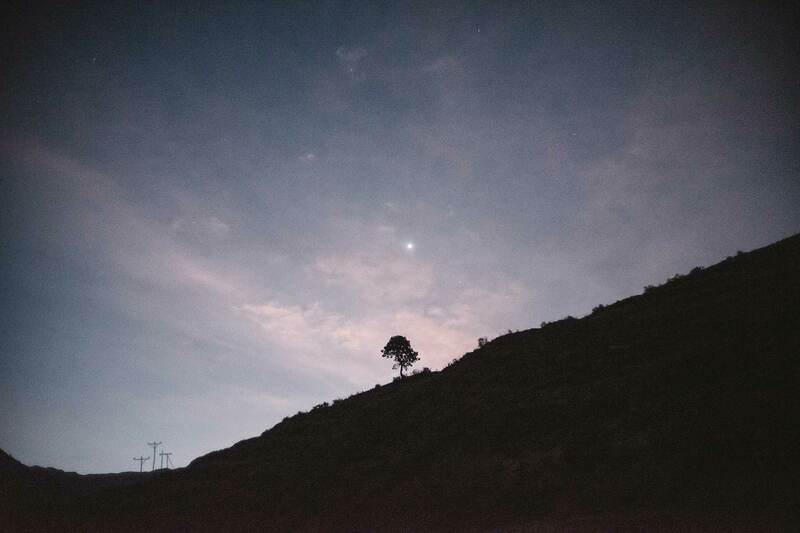 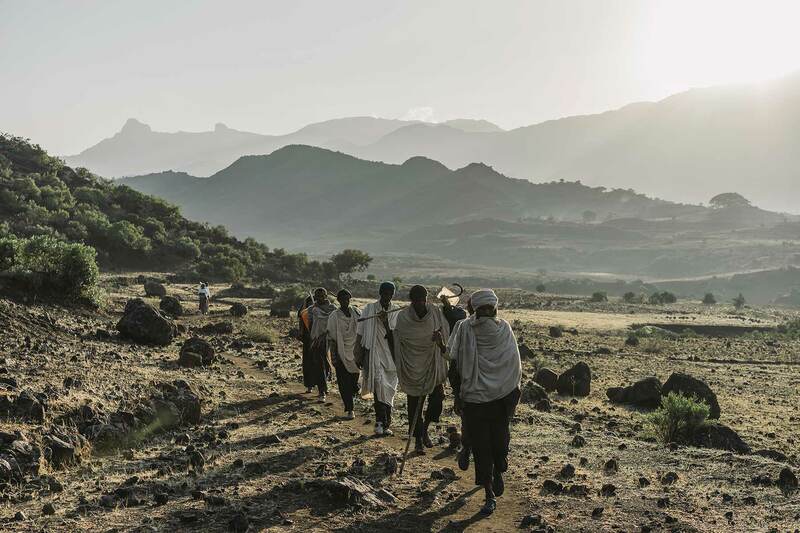 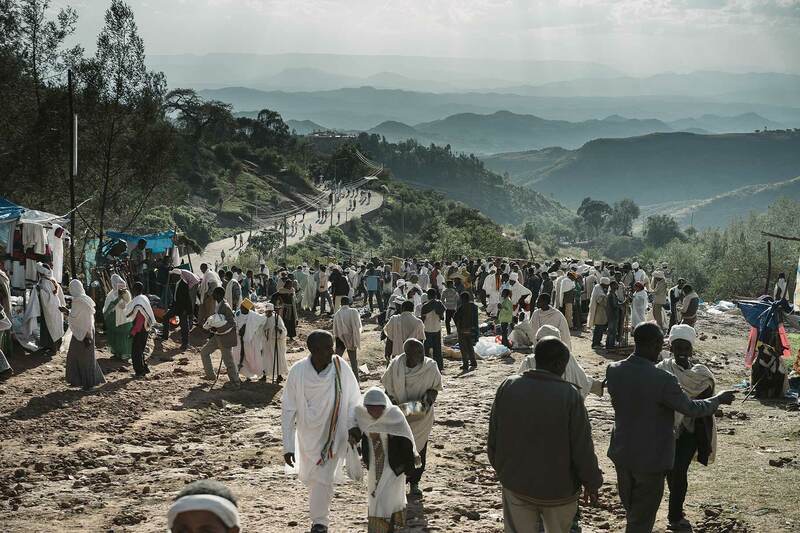 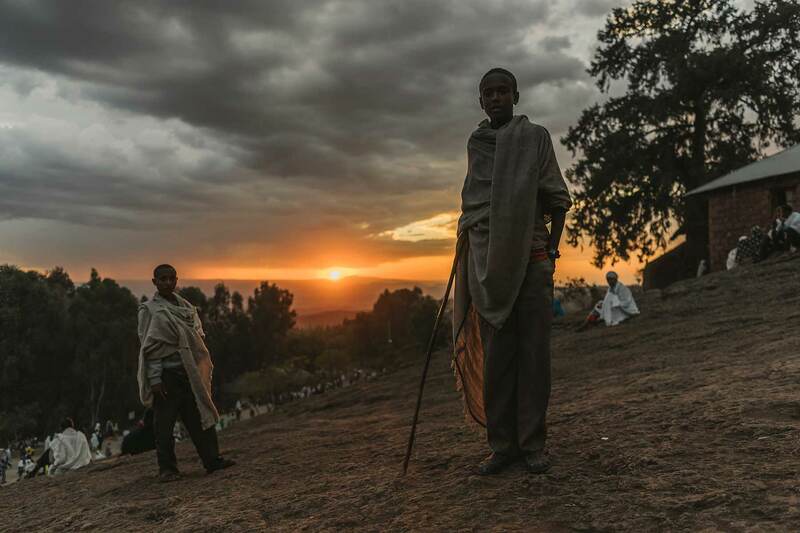 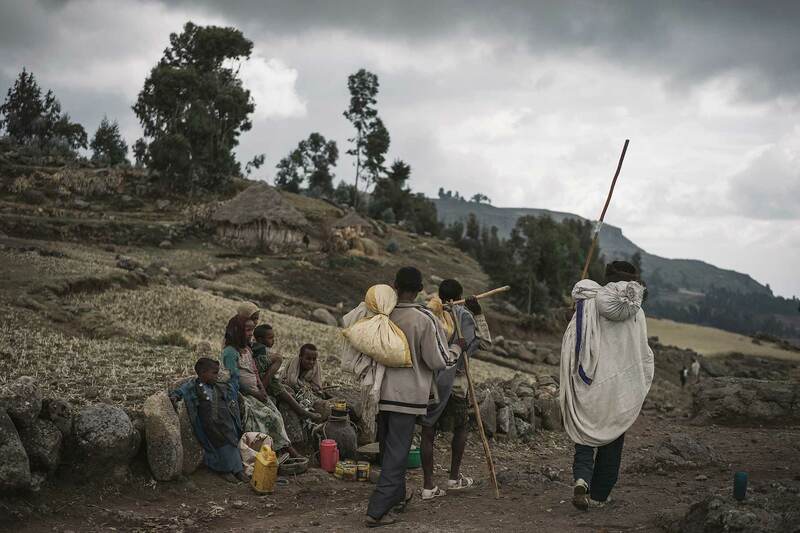 Ethiopians of all ages are walking from dawn till dusk, not fast but steady, making up to 40 miles a day under intense sun through the highlands of central Ethiopia. 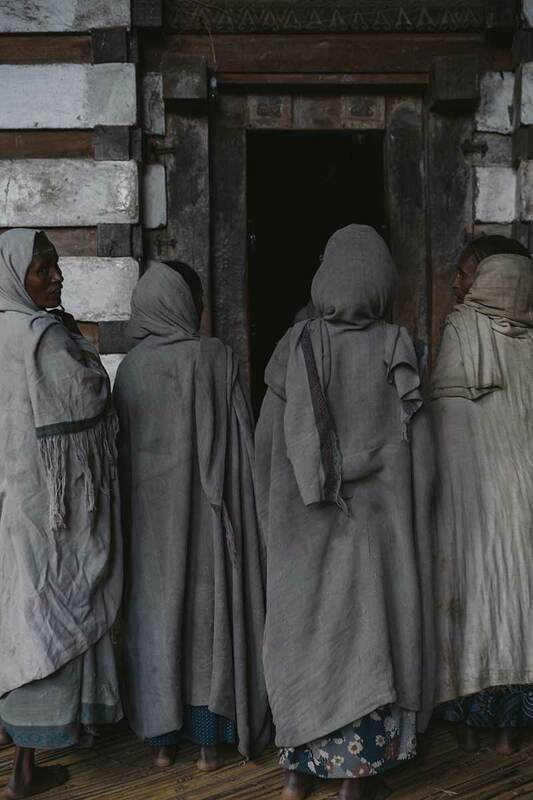 On their way they pass through sleepy towns and villages on roads less travelled thus creating a sense of belonging: for themselves but also for the people they meet on the street. 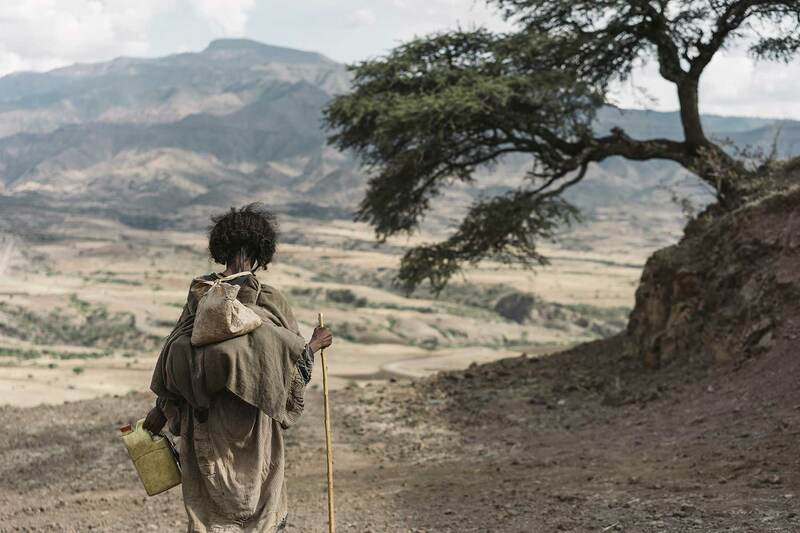 Sometimes singing, sometimes chatting, sometimes not doing anything at all but setting one foot infront of the other. 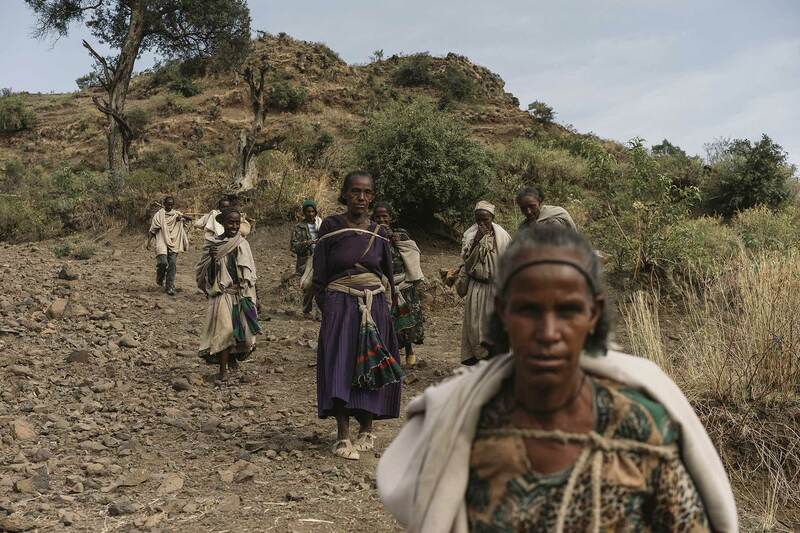 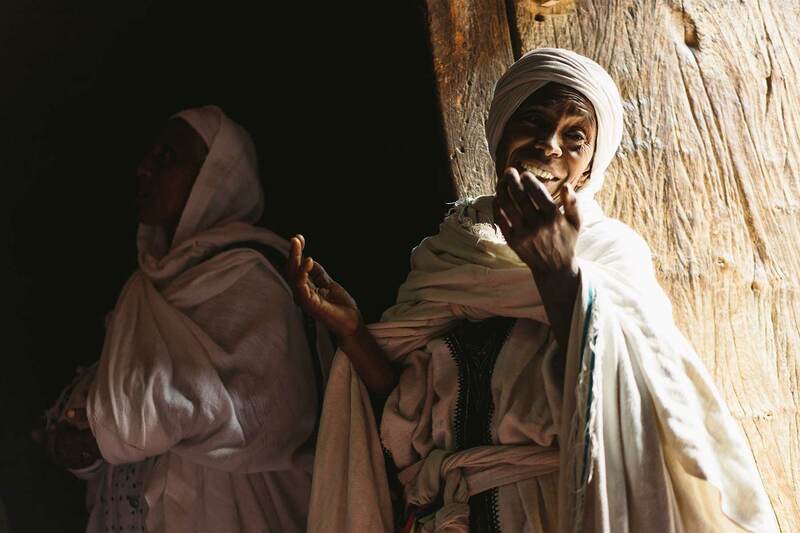 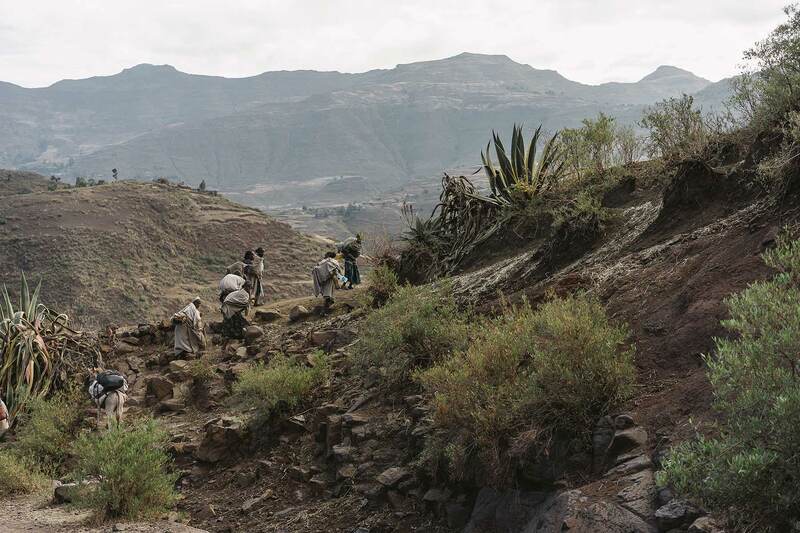 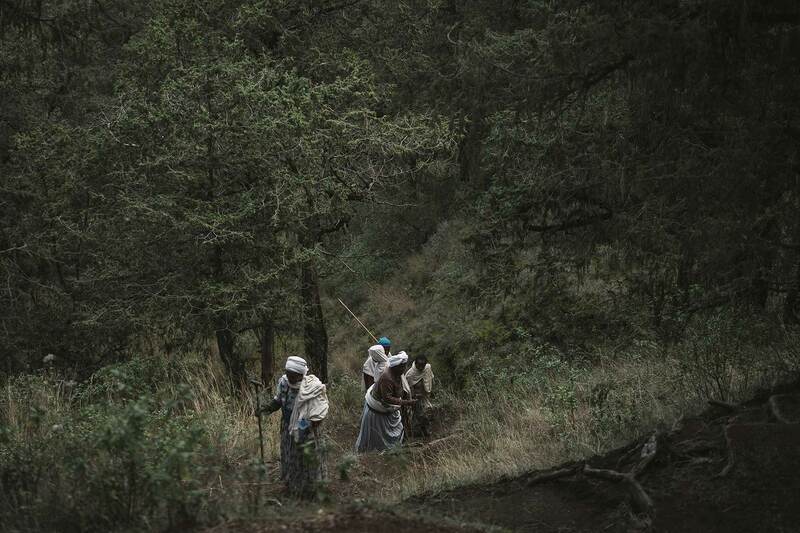 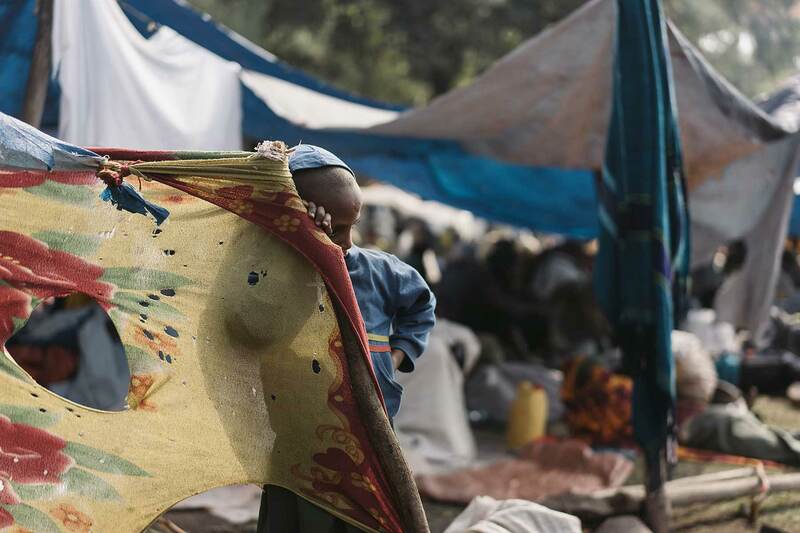 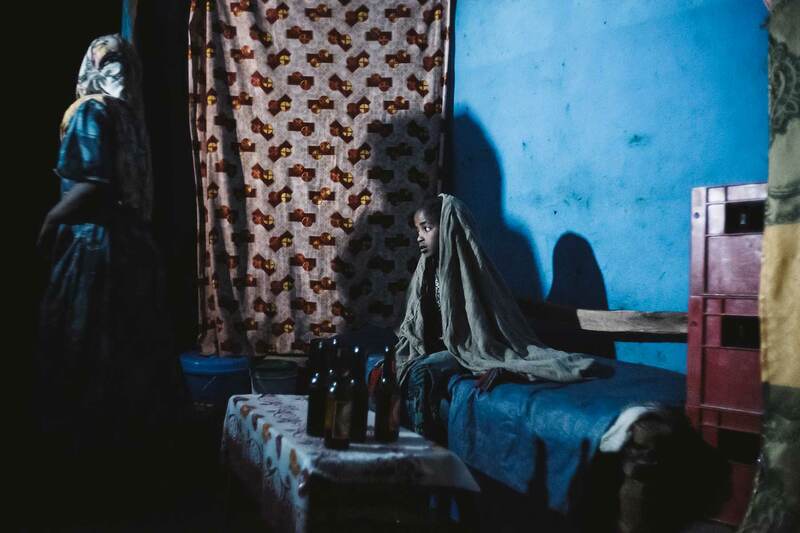 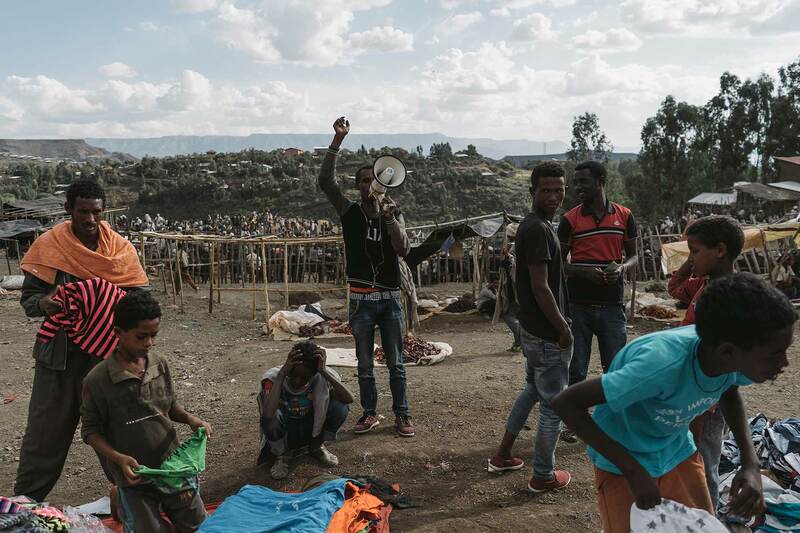 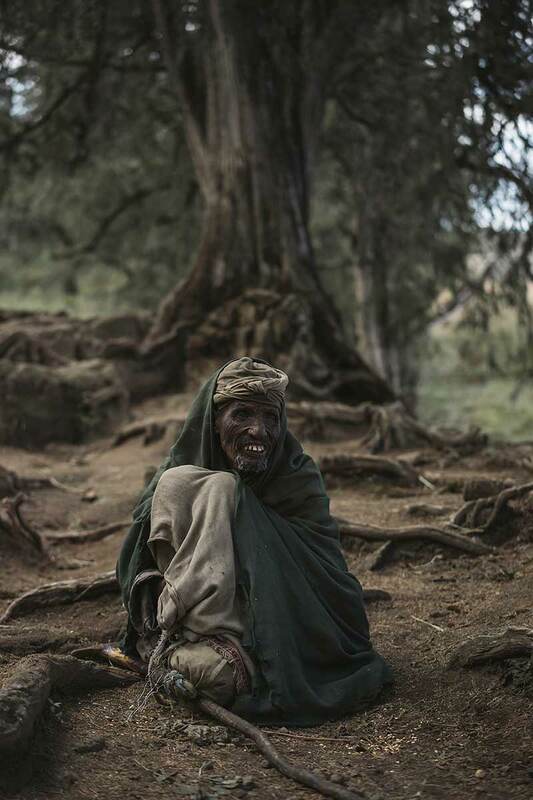 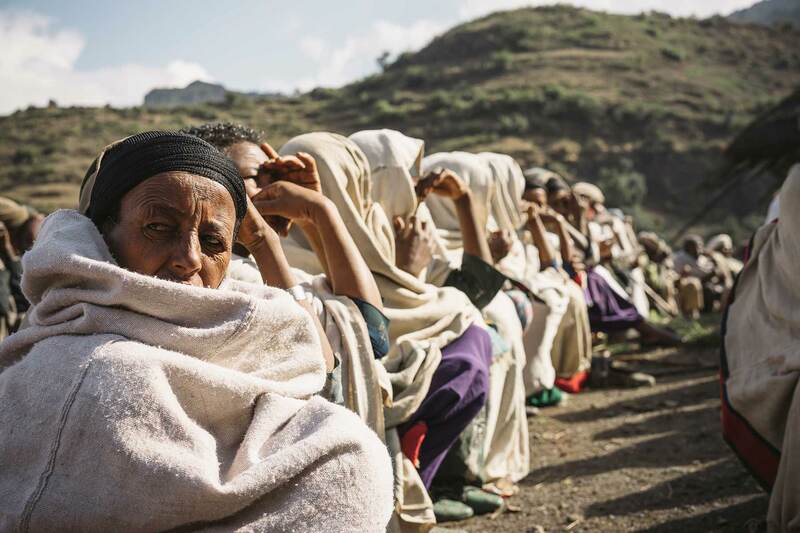 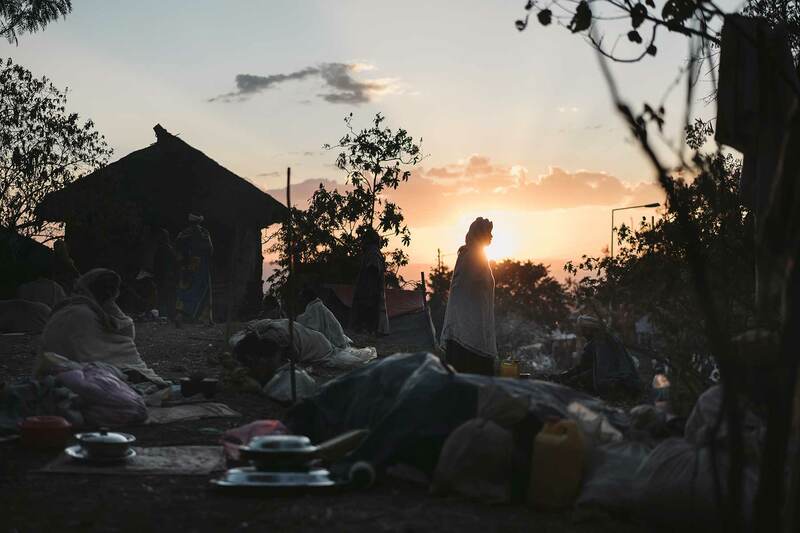 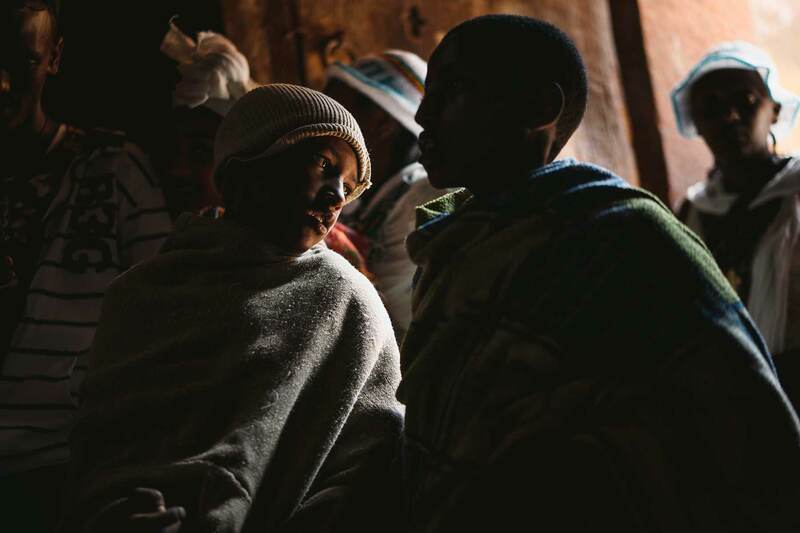 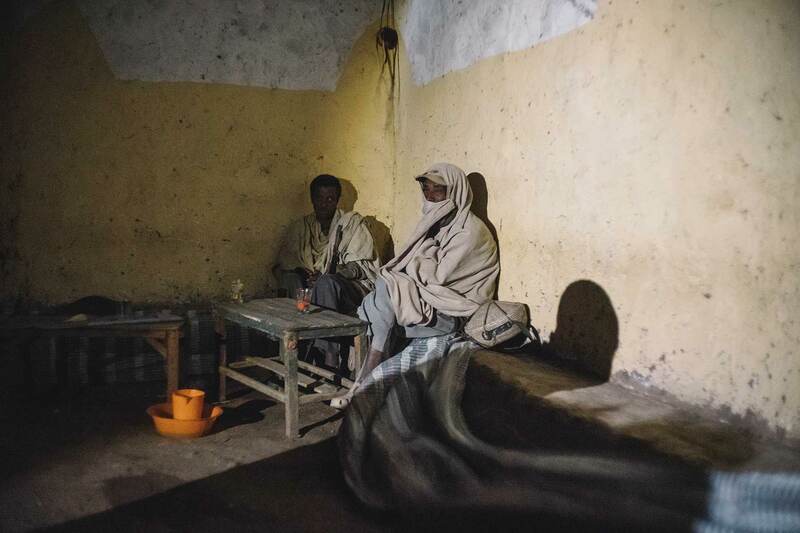 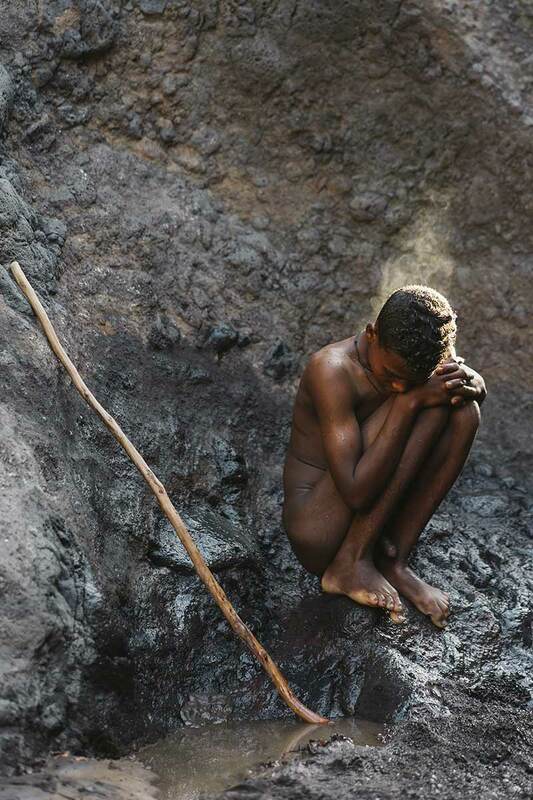 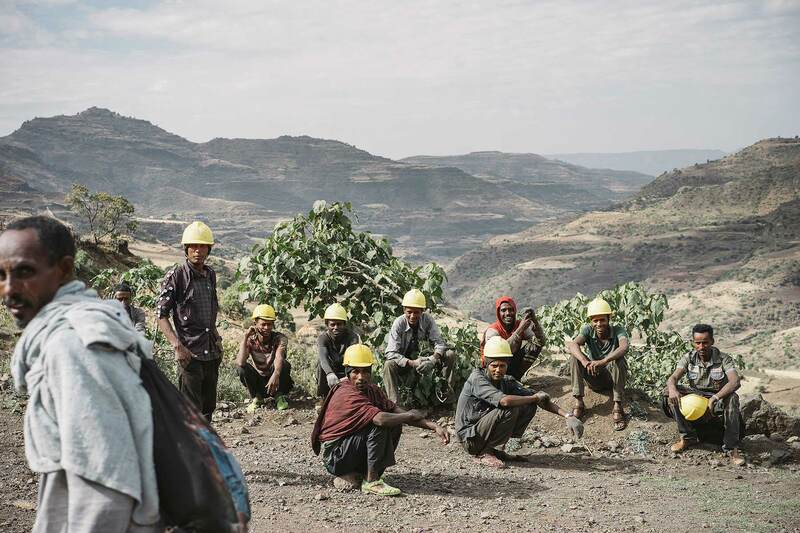 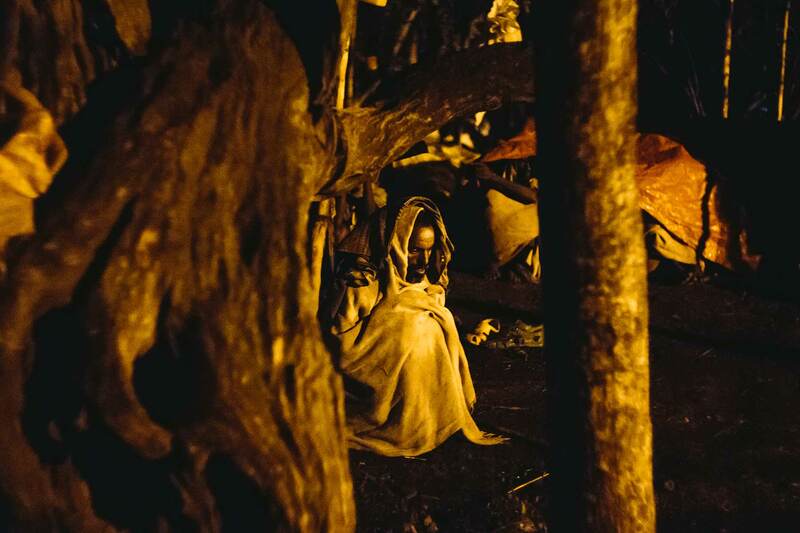 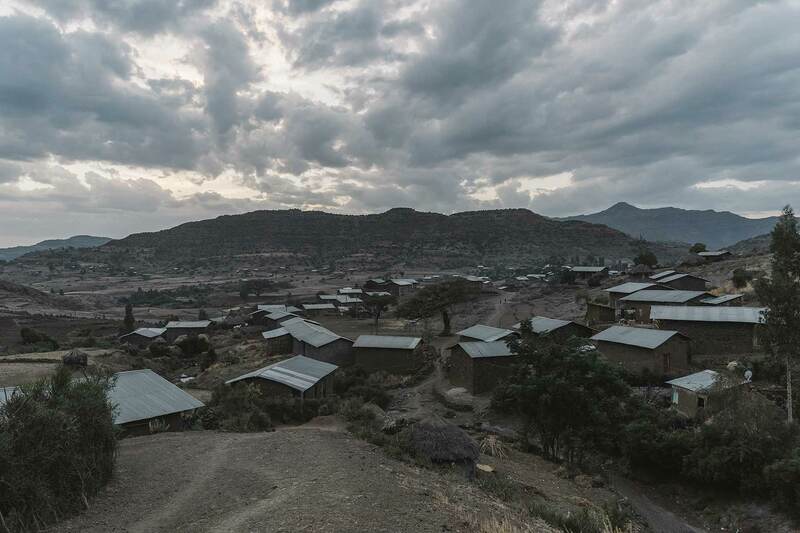 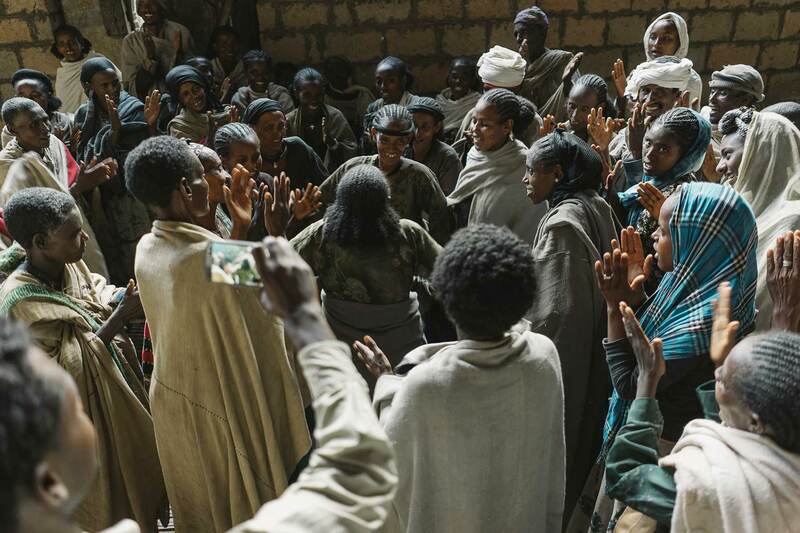 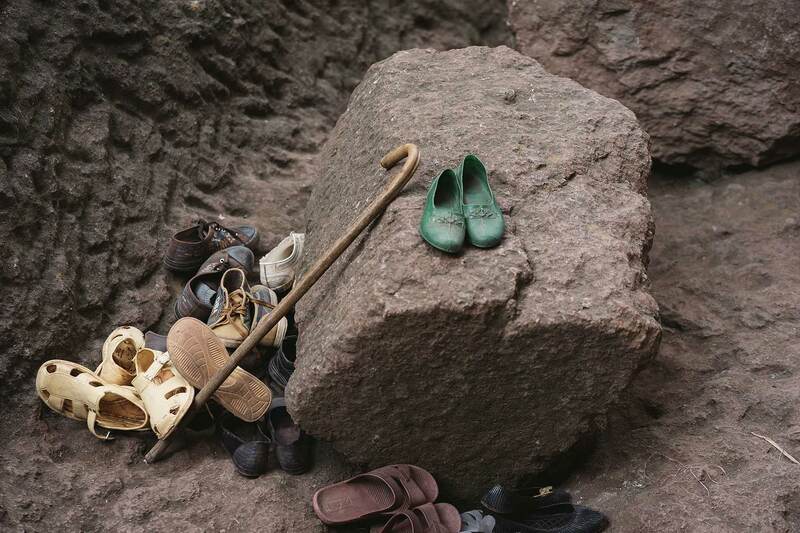 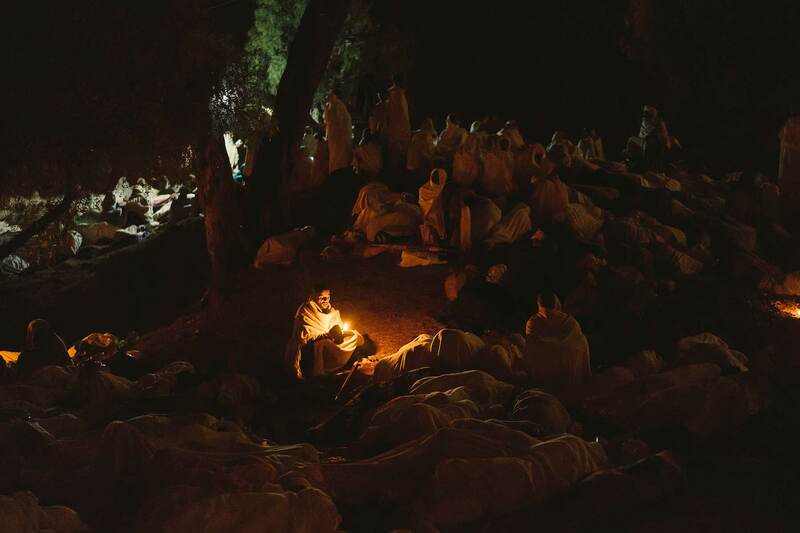 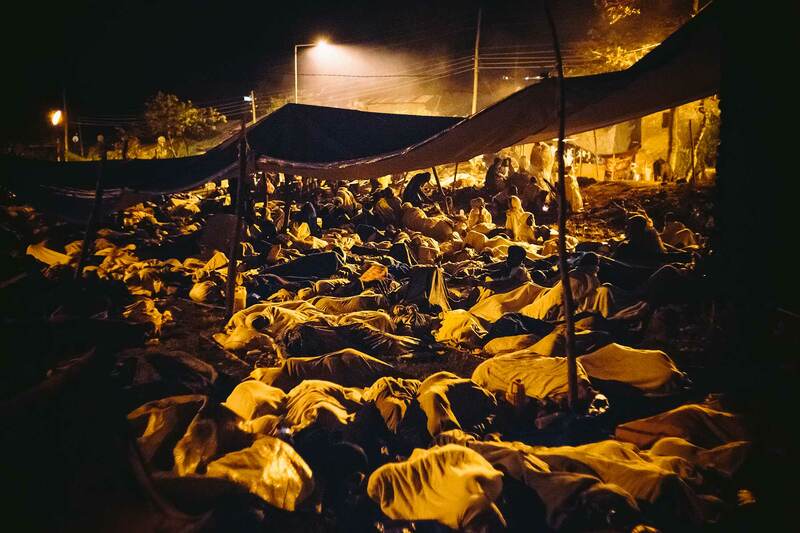 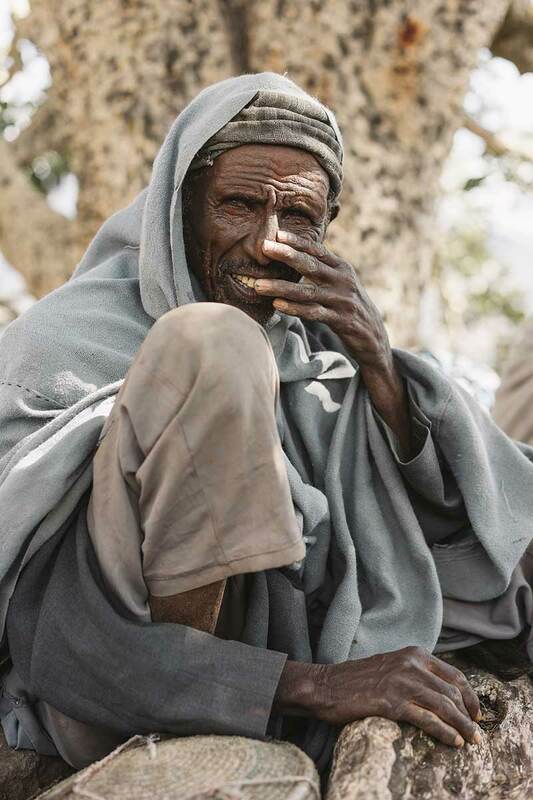 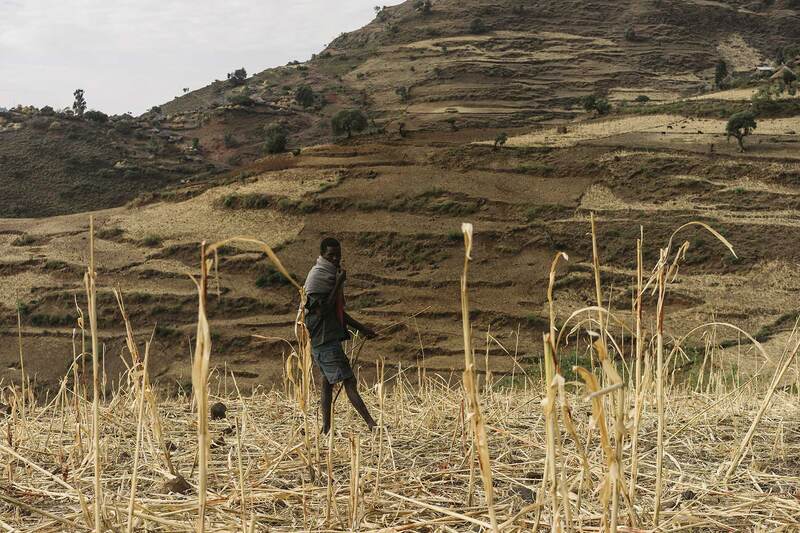 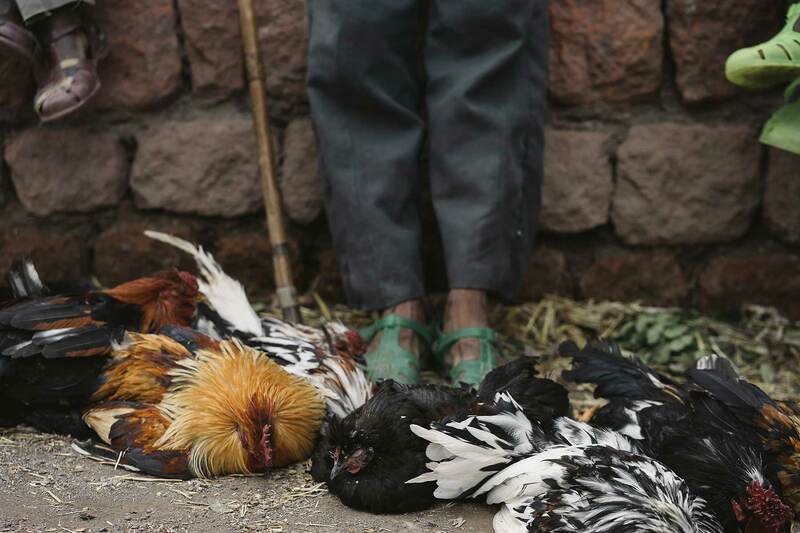 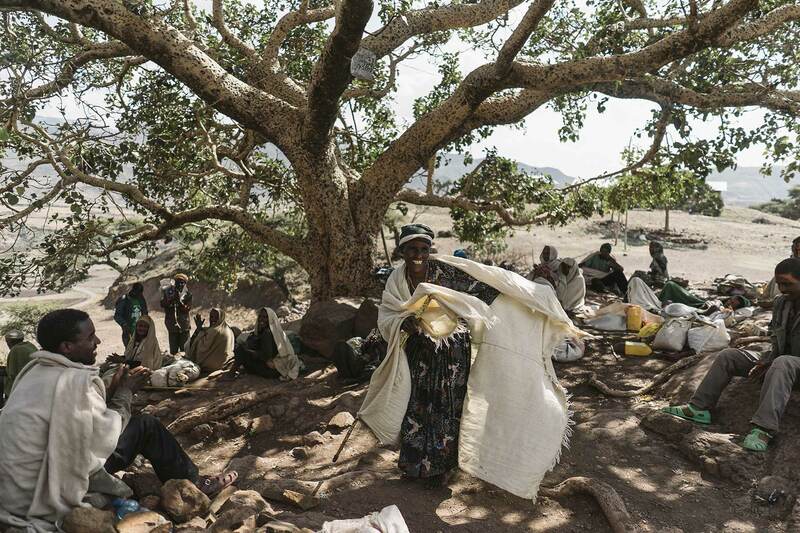 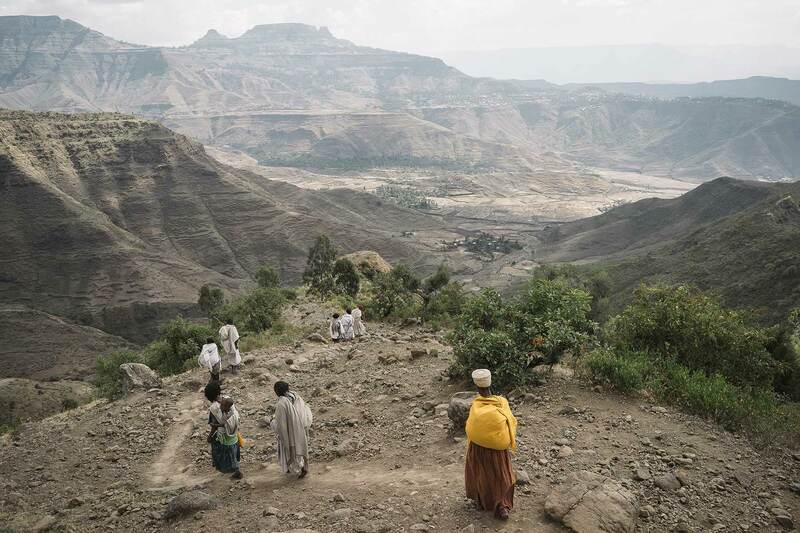 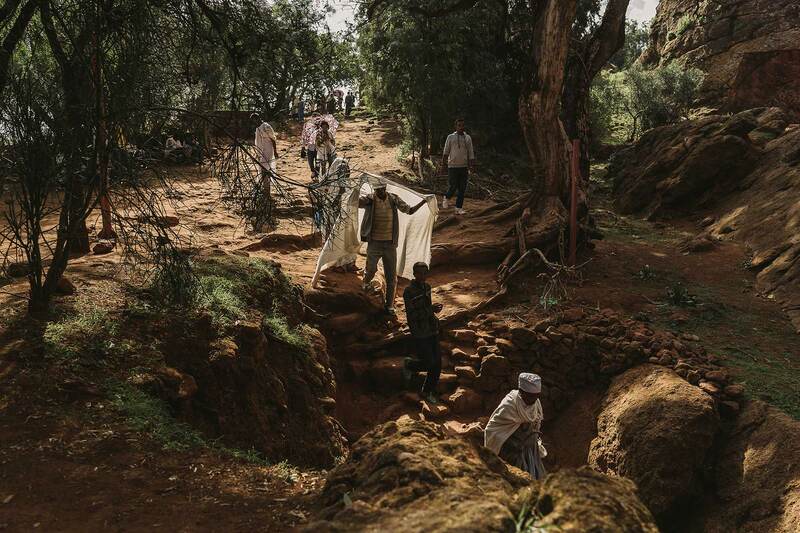 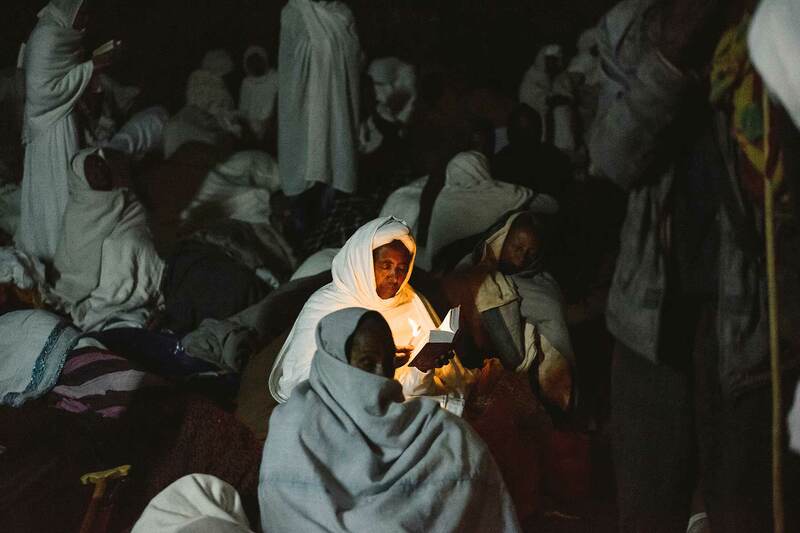 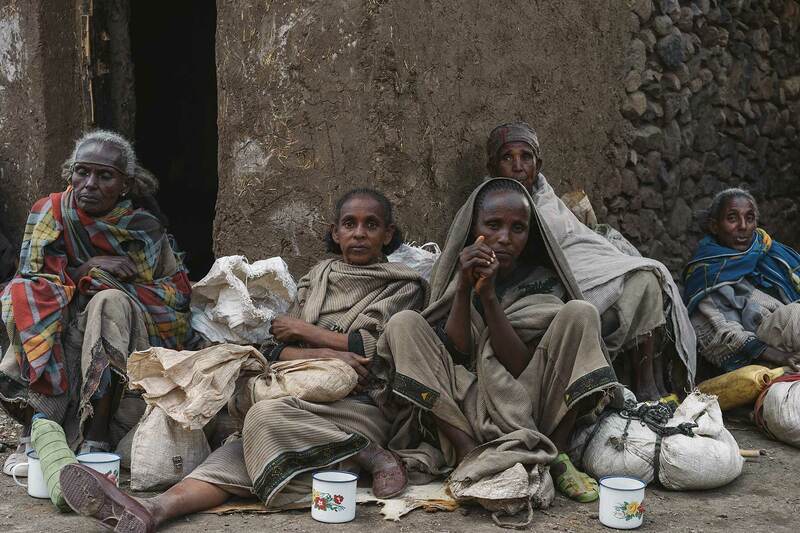 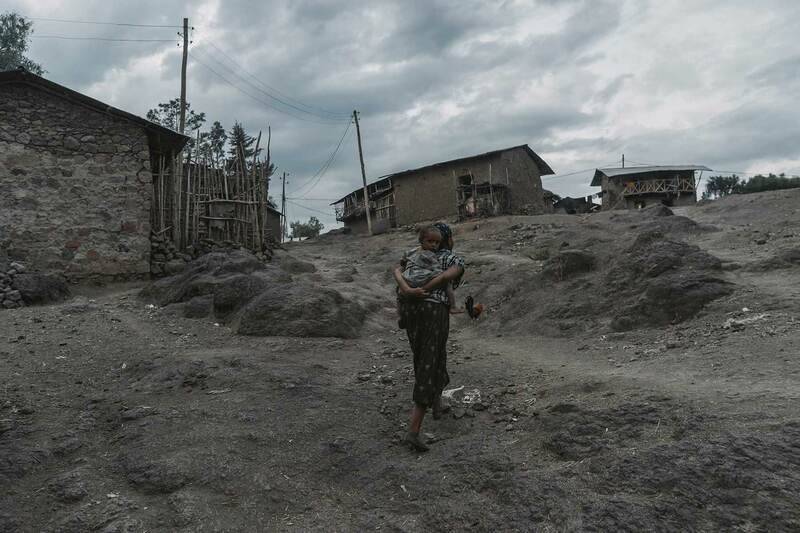 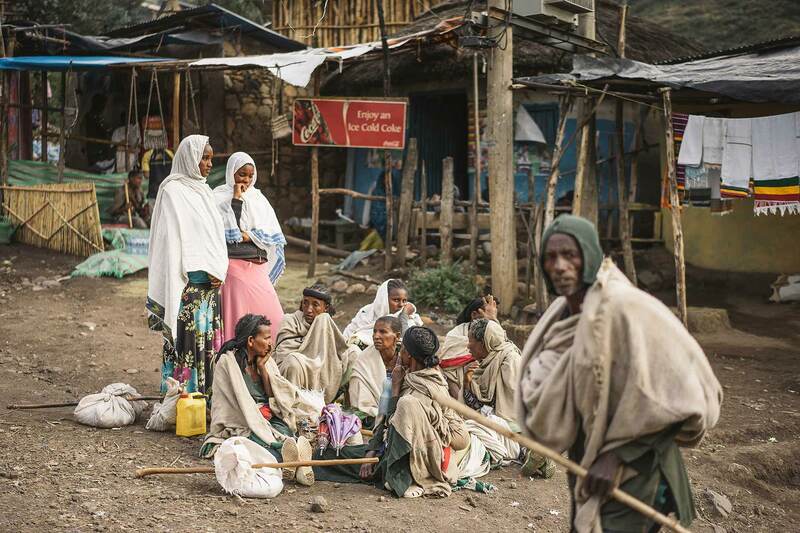 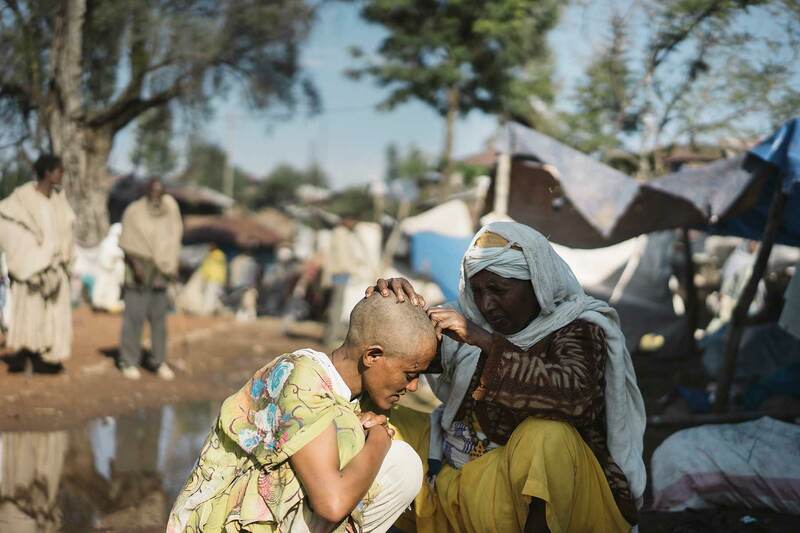 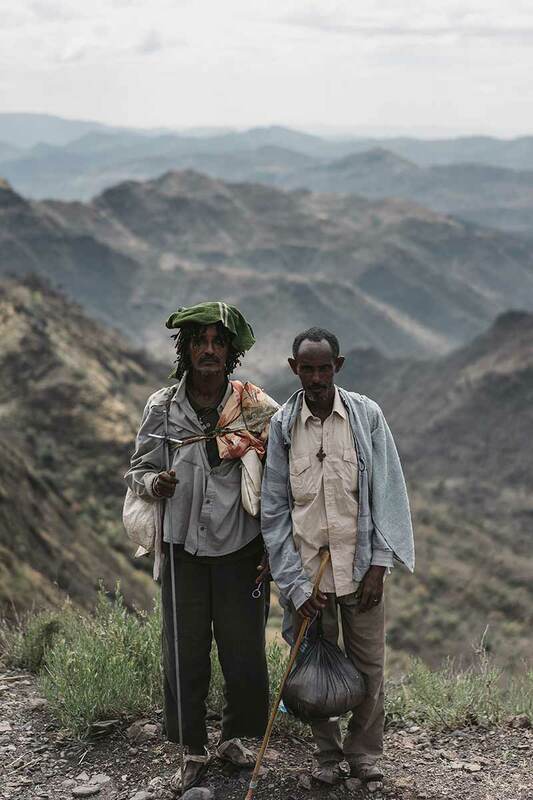 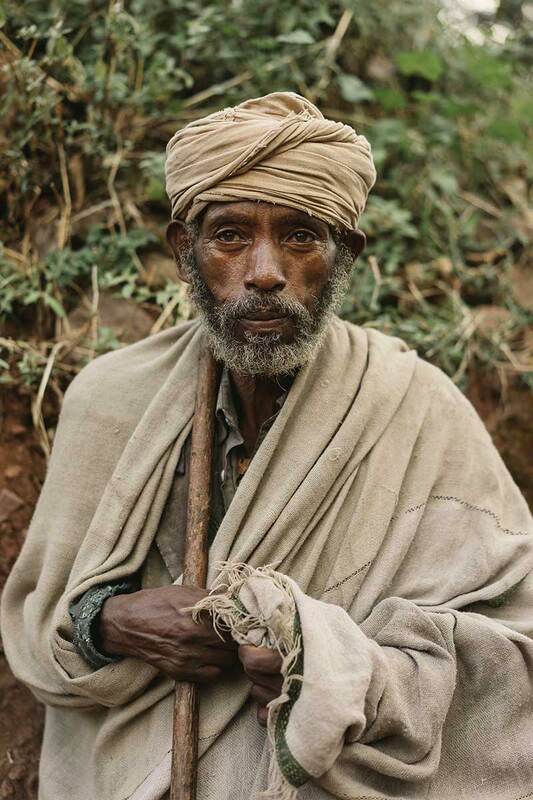 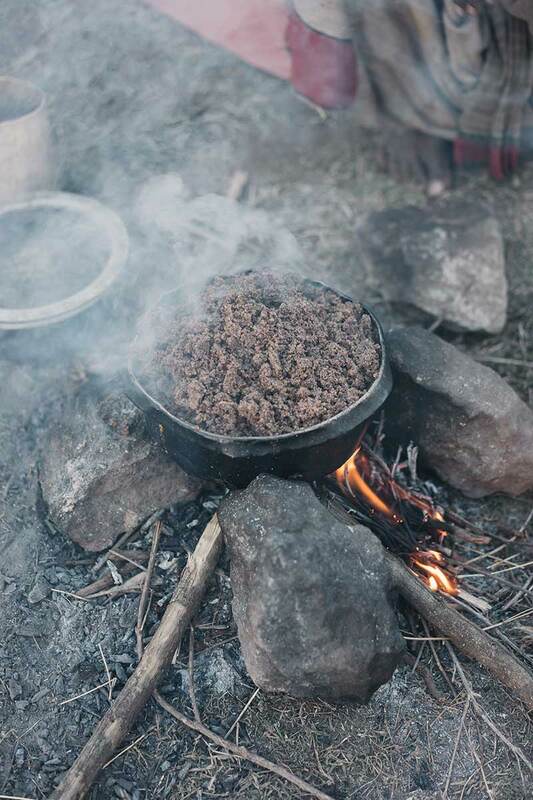 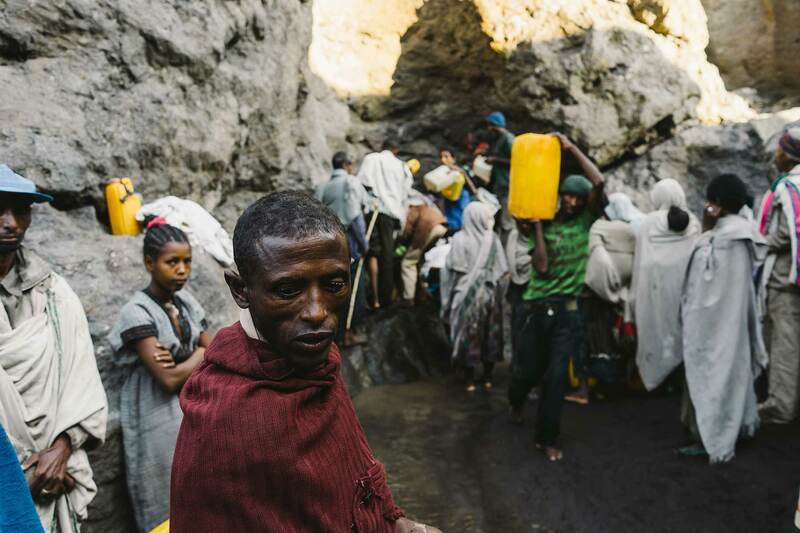 Once arrived in Lalibela they camp under the sun, sleeping on the muddy ground, still holding a strict diet. 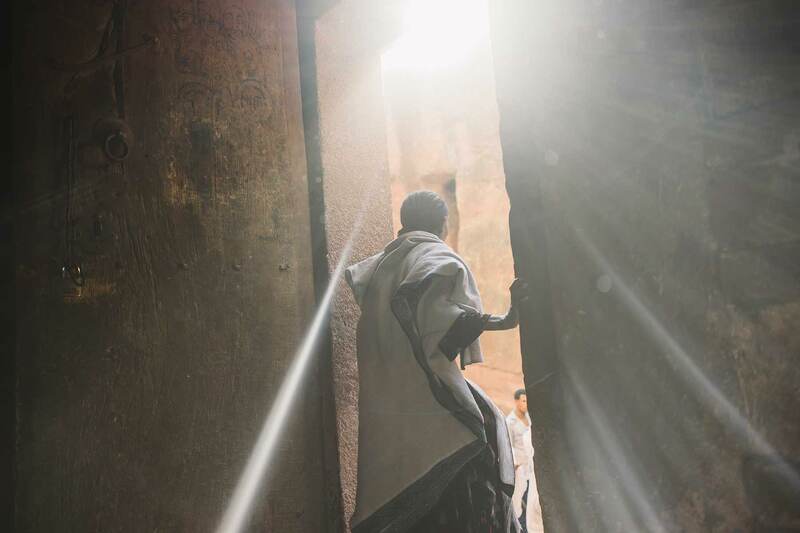 Many spend their time reading or praying, marveling at the rock hewn, monolithic churches of this magic place. 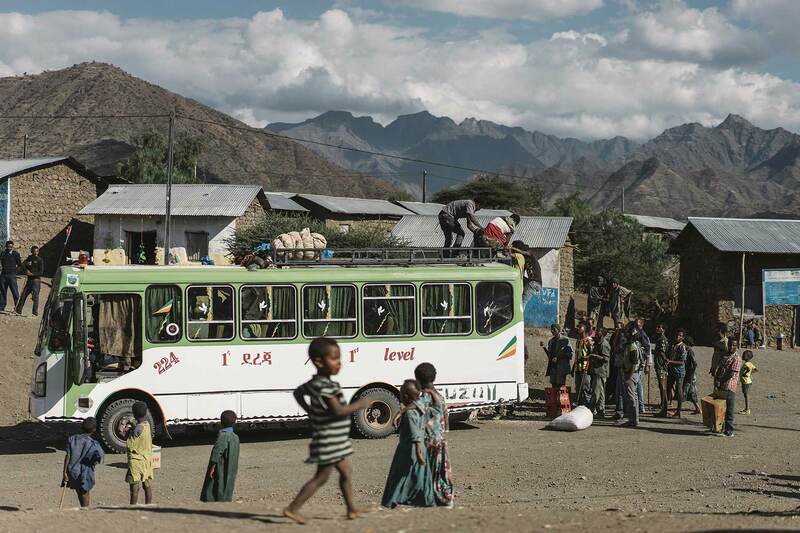 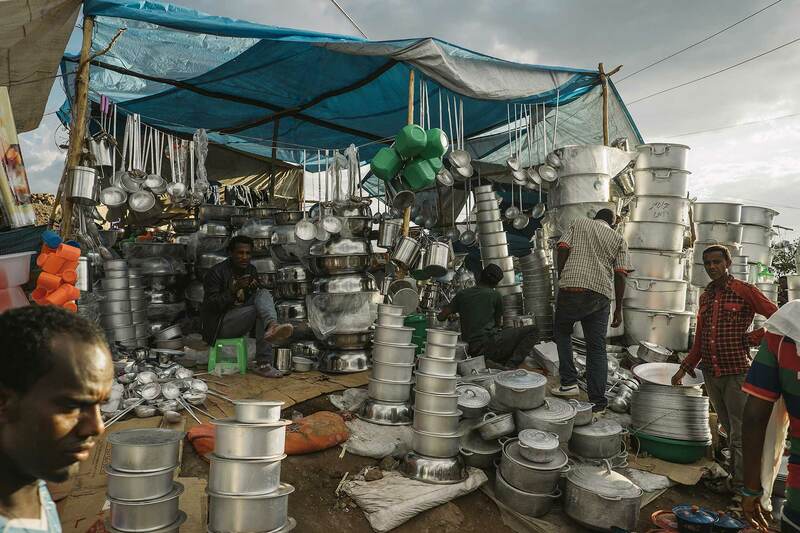 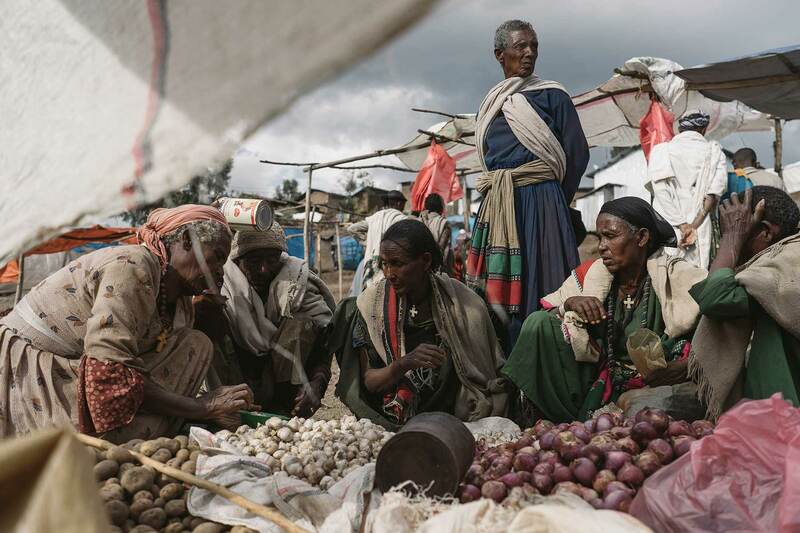 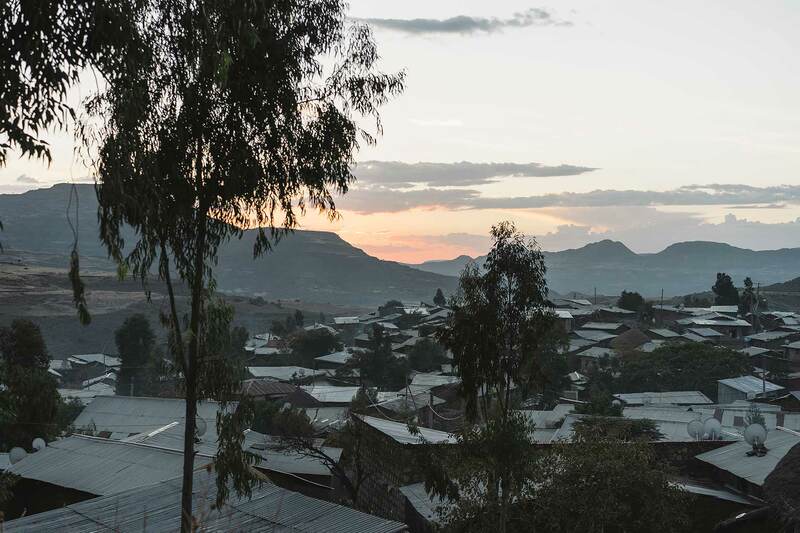 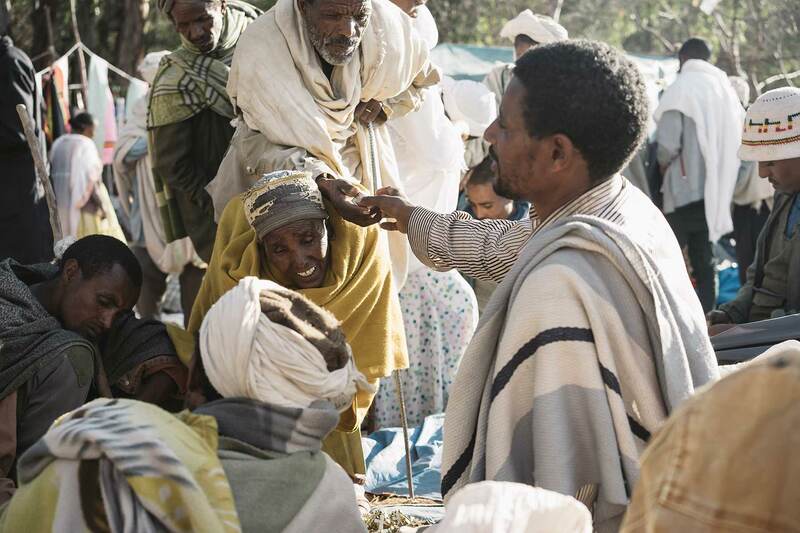 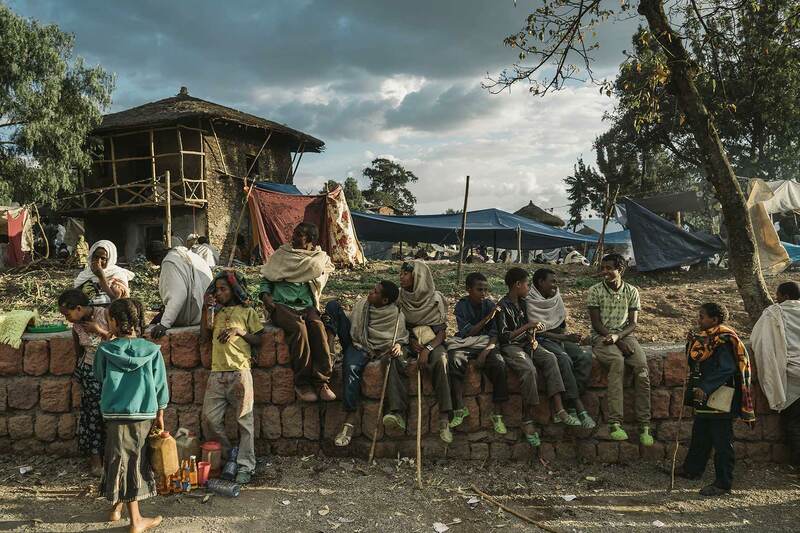 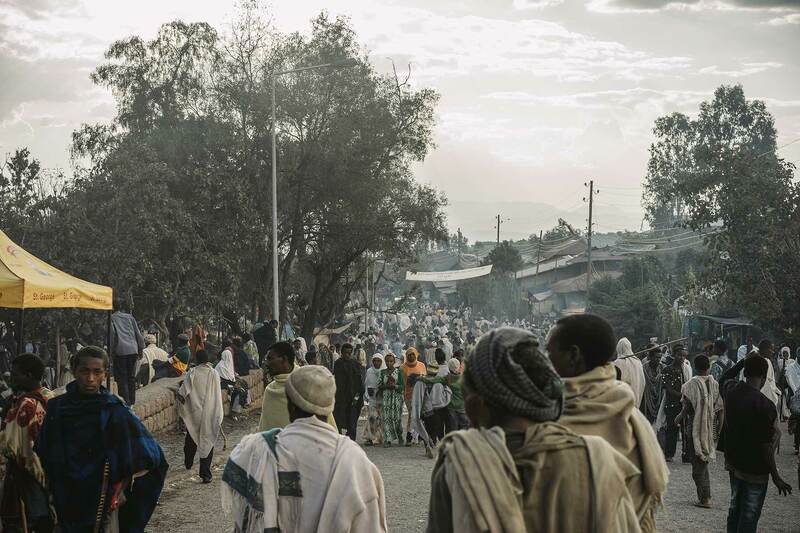 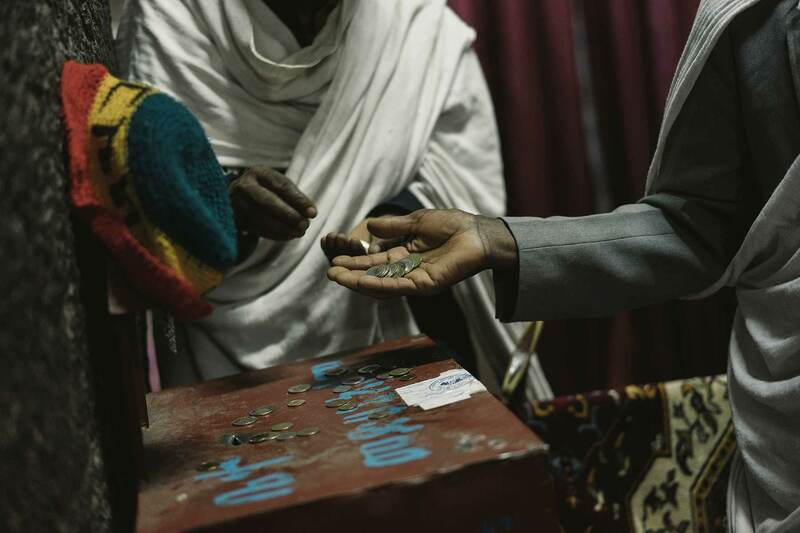 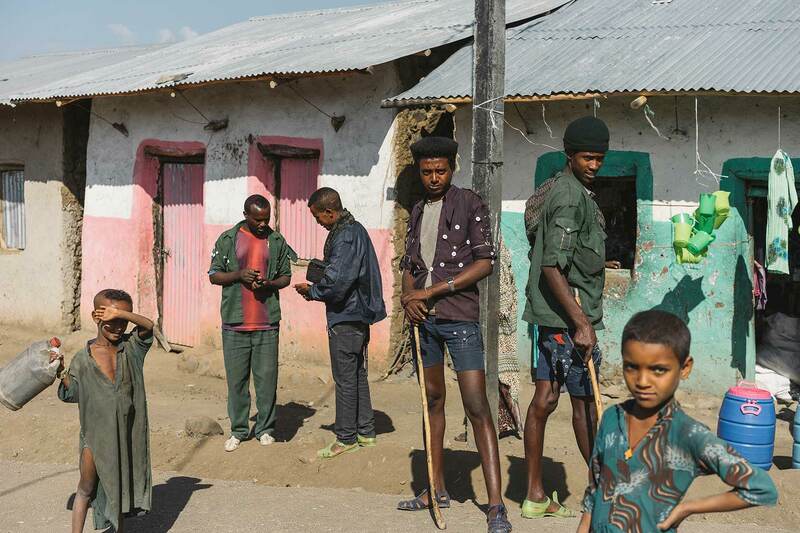 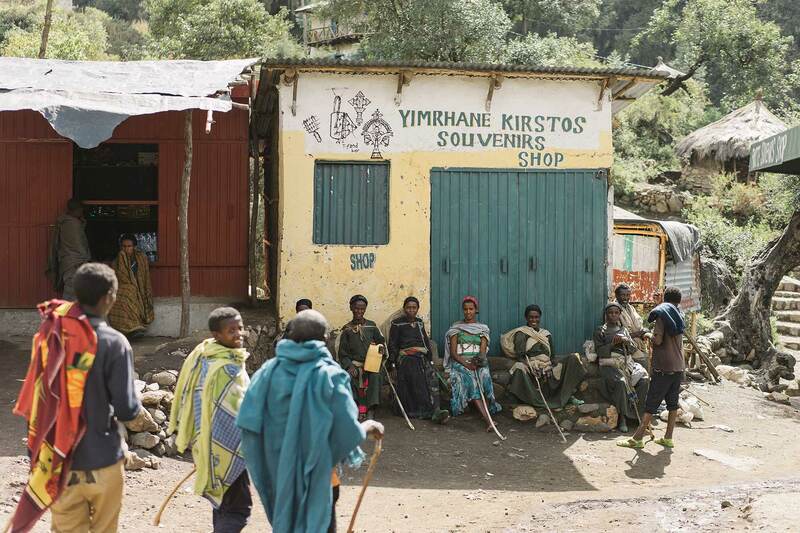 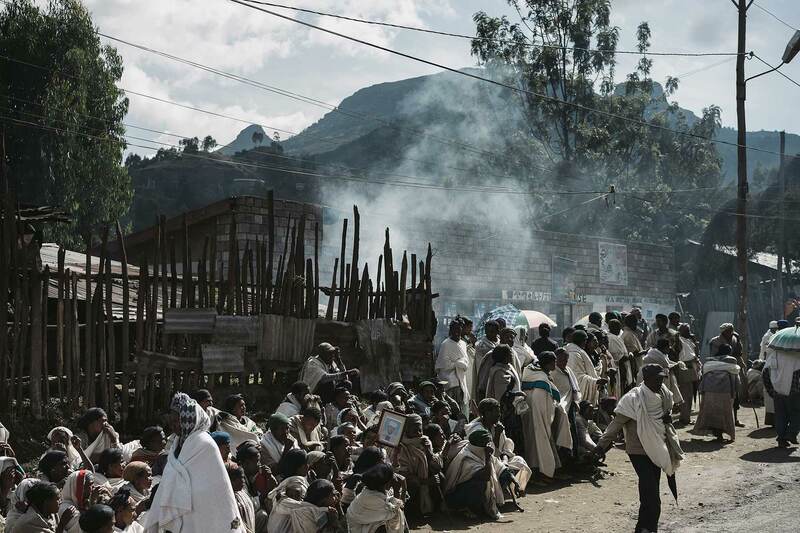 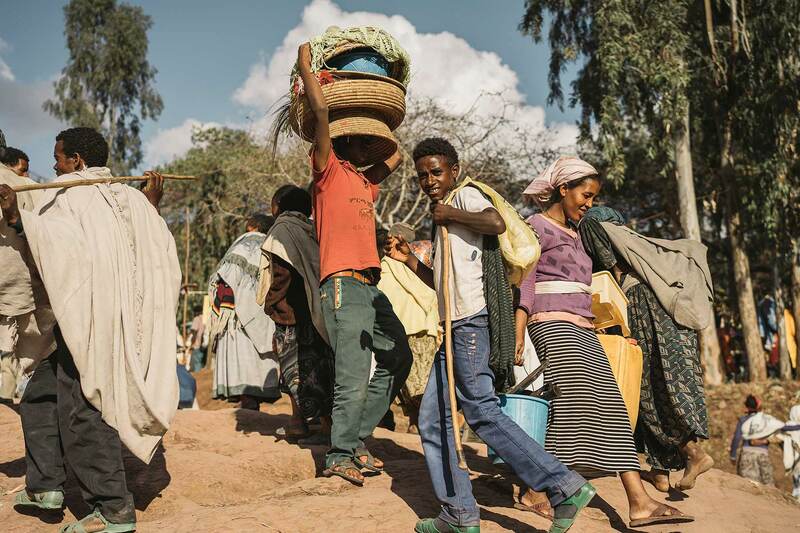 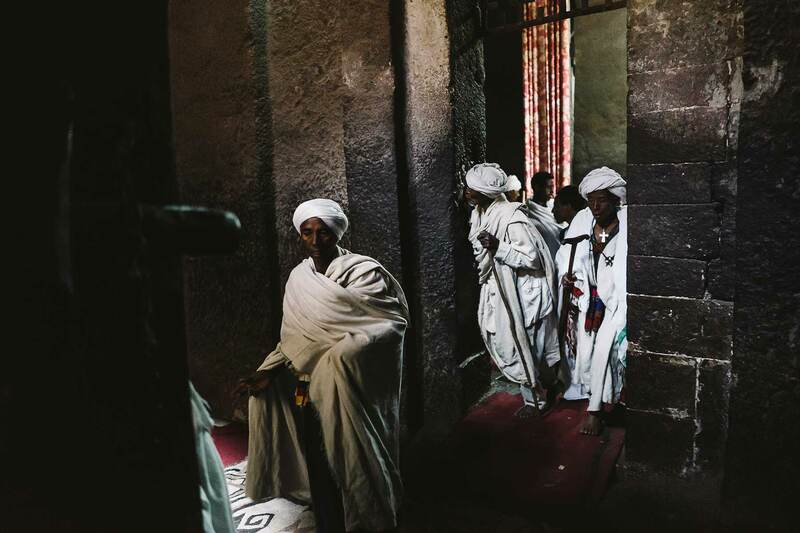 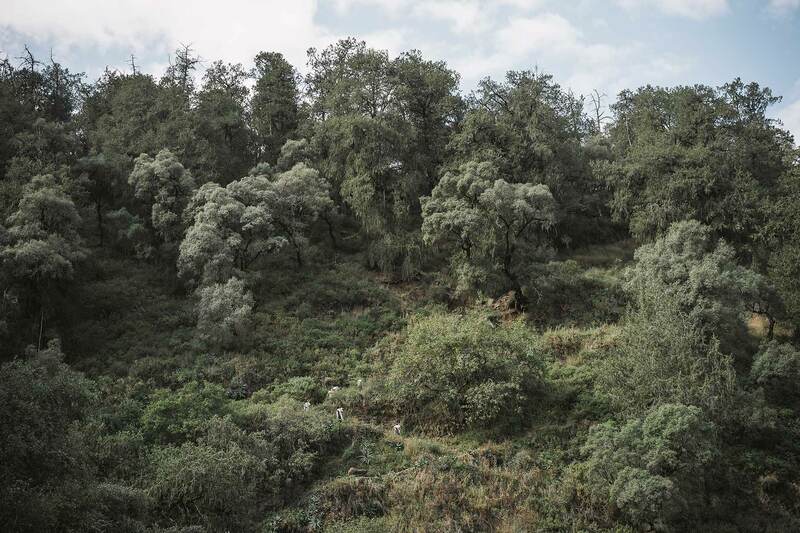 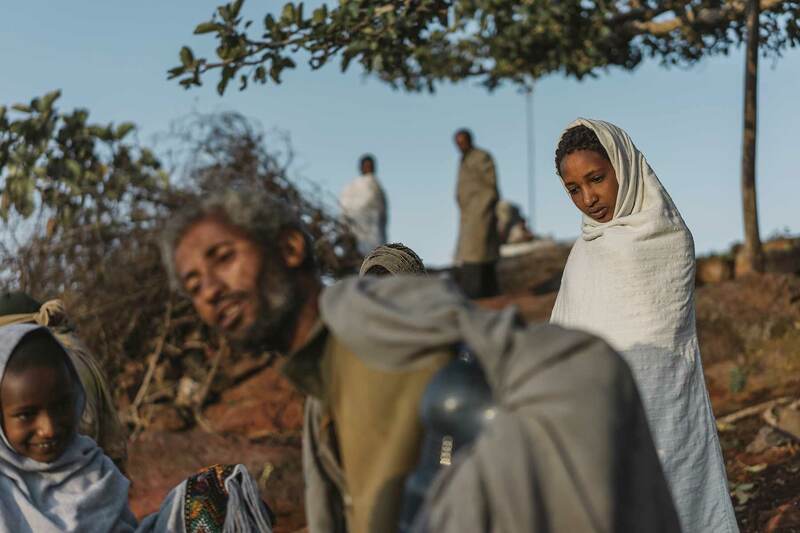 The days are also spent with visits to the markets of this central town of the Amharic province, shopping for light vegetables or some devotional objects, which is especially true for the „luxury Pilgrims“ coming from Addis Abeba. 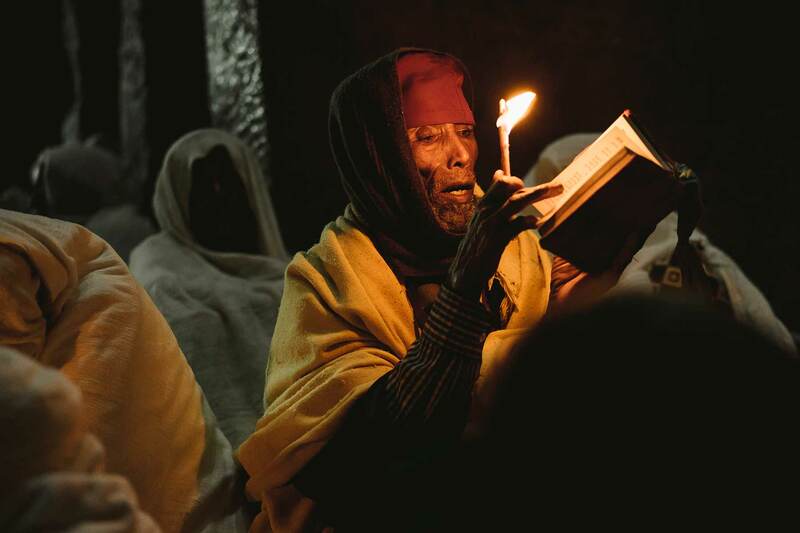 When Christmas eve arrives all join the monks chanting Christian verses infant of Bet Mariam Church, making that night an intensely mediative experience for every visitor.